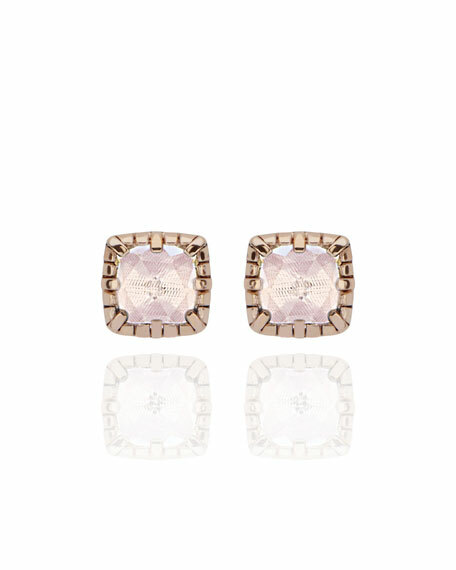 Bella stud earrings by Larkspur & Hawk. 18-karat rose gold-washed sterling silver. White quartz with ballet foil square studs. 14-karat gold posts for pierced ears. 7.00 total quartz carat weight. For in-store inquiries, use sku #2661825.